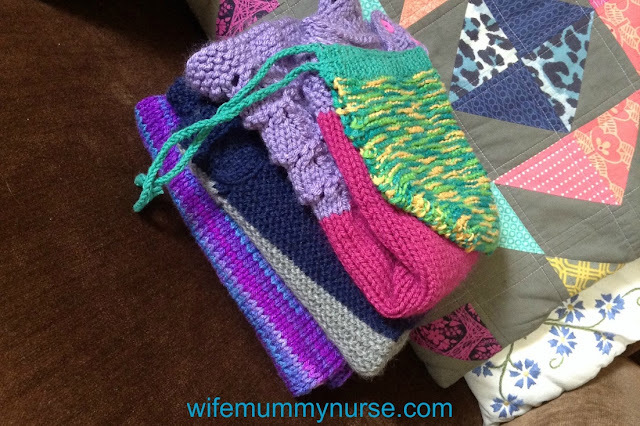 April was a month of completing four test knits; three of which were started in April. 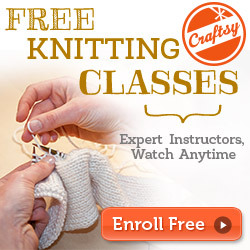 I've sometimes received comments such as, "How are you able to knit so much?" When Justin is napping, Charis does her math, phonics, and Spanish papers at the dining room table. During this time, I knit. I first completed was the sporty pixie bonnet. 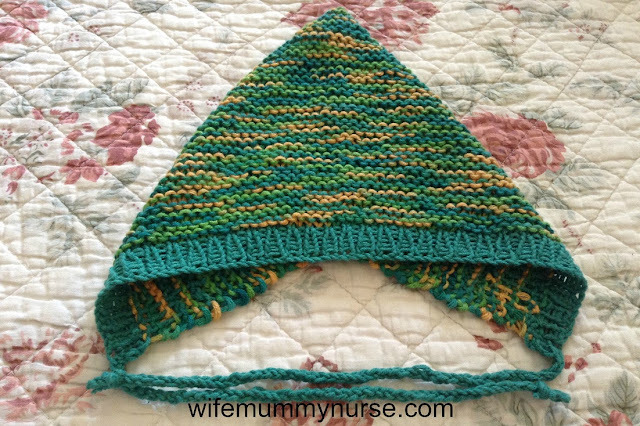 I knit the bonnet with Bernat Cotton-ish and Universal Yarn Bamboo Pop. (The pattern is not yet published on Ravelry. When the designer puts the pattern up, I'll post it here.) This pattern is for a dear friend due with her first baby in November. I knit the 3-6 month size hoping it will fit the baby in Spring, around St. Patrick's Day. What's currently on your needles? 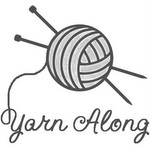 Join me over at Ginny's Yarn Along. What a pretty pile of finished knits! I also squeeze knitting in during homeschool moments but with a kindergartener this year there's not much she does independently so not much gets done then! Most of my knitting is in the evenings after they go to bed because that's about the only time all day I sit down!